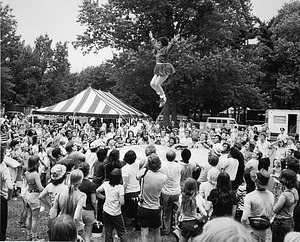 The first Festival of American Folklife is held on the National Mall and runs from July 1-4, 1967. The festivals are intended to present American and foreign cultural traditions, craftsmen, musicians and dancers. Festival features include basket weavers, pottery makers, woodworkers and carvers, doll makers, needleworkers, tale tellers, boat builders, and folk singers, dancers, and musicians. Telling Stories: Norman Rockwell From the Collections of George Lucas and Steven Spielberg opens at the Smithsonian American Art Museum. The exhibit runs from July 2, 2010 to January 22, 2011 and features fifty-seven paintings from the personal collections of George Lucas and Steven Spielberg. The exhibit, organized by Senior Curator Virginia M. Mecklenburg, explores Rockwell's connection to Hollywood and film through his paintings. The Armed Forces History Hall opens in the Museum of History and Technology, now the National Museum of American History. 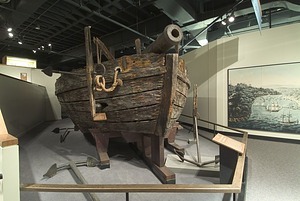 It features the 55-foot gun-boat, Philadelphia, which was recovered from the waters of Lake Champlain virtually intact. This is the oldest and most complete naval artifact associated with the American Revolution. Among the exhibits relating to the US Army were George Washington's headquarters tent and General Philip H. Sheridan's horse, Winchester. 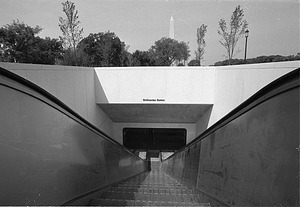 The Smithsonian Metro Station formally opens on the National Mall at 12th Street, just east of the Smithsonian Institution Building. Metro General Manager Theodore Lutz presents Assistant Secretary Charles Blitzer with a farecard for inclusion in the transportation collection of the National Museum of History and Technology, now the National Museum of American History. The Board of Regents approves Secretary Joseph Henry's nomination of Spencer Fullerton Baird as Assistant Secretary in the Department of Natural History to take charge of the Museum as "Keeper of the Cabinet" and to assist with publications. Baird, a naturalist, previously taught at Dickinson College in Carlisle, Pennsylvania. The initial salary for his position is $1,500 per annum. The St. Louis Daily Globe Democrat publishes an article on "The Wizard of the National Museum," describing the exhibits staff who work behind-the-scenes to make museum exhibits. The article describes their workshop and marvels at their ability to make life-like imitations of almost anything, from humans to plants, animals and minerals with secret formulas and papier mâché casts. 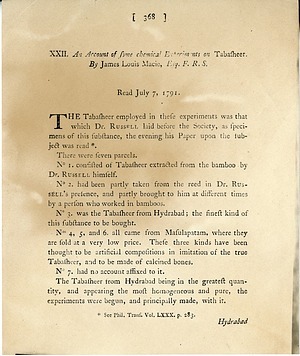 James Smithson's first scientific paper entitled, "An Account of Some Chemical Experiments on Tabasheer," is read before the Royal Society of London and published in the Philosophical Transactions of the Royal Society of London, Vol. LXXXI, Part 2, p. 368. The paper details his many experiments on this substance found in bamboo. It is signed James Lewis Macie, the name he used until 1800. 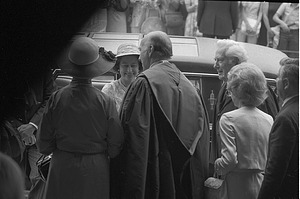 Queen Elizabeth II of Great Britain arrives at the Smithsonian Institution as part of her six-day official Bicentennial of the American Revolution visit to the United States. The Smithsonian's America: An Exhibition on American History and Culture opens at the American Festival Japan '94 at the Nippon Convention Center in Chiba, Japan. The exhibit focuses on American history, culture and the cultural diversity of the United States. The exhibition contains more than three hundred objects from the National Museum of American History and the National Air and Space Museum and occupies 60,000 square feet, one-third of the Festival exhibition space. The Naos Seawater System is inaugurated by Smithsonian Tropical Research Institute Director Dr. Ira Rubinoff, Panamanian President Dr. Aristides J. Royo Ruiz, Acting Smithsonian Secretary Phillip S. Hughes, and the Archbishop of Panama. The Naos Seawater System is a system of large tanks supplied with running seawater at the Pacific marine laboratory on Naos Island. This facility will permit a much greater variety of experimental work with marine organisms. The National Gallery of Art, now the Smithsonian American Art Museum, achieves official status as part of the Smithsonian Institution. This occurs when the Supreme Court of the District of Columbia decrees that the pictures, miniatures, and other articles bequeathed by Harriet Lane Johnston should become the property of the National Art Gallery. Johnston's will left the collection to the Corcoran Gallery of Art, unless the United States government established a National Gallery of Art. 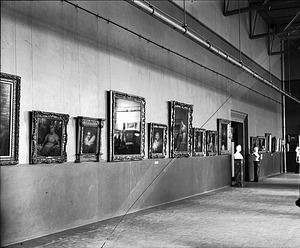 The Smithsonian, therefore, formally establishes the National Gallery of Art to receive the collection. As a result of this decree, the collection, consisting of thirty-one pieces, is delivered to the Smithsonian Institution on August 3, 1906. 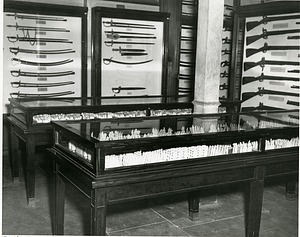 Dr. Howard K. Thompson's Collection of Miniature Soldiers is on display in the Arms Court of the Arts and Industries Building. 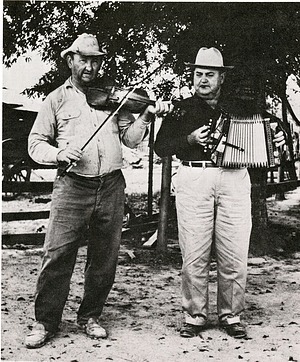 The 1974 Festival of American Folklife contained programs on Working Americans, Native Americans, and Old Ways in the New World. The World Eskimo Olympics are presented as part of the program today. 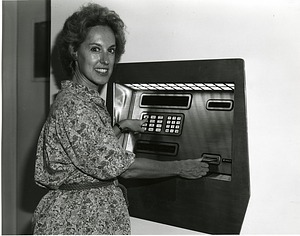 A newly installed automatic teller machine in the National Air and Space Museum is placed in operation. It is the first of three machines to be installed at NASM, the National Museum of Natural History, and the National Museum of American History. The NASM machine, like the two installed later in NMNH and NMAH, is installed near the museum shop entrance. 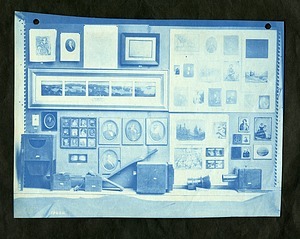 The Section of Photographic History, Division of Graphic Arts, United States National Museum, is established with Thomas William Smillie as custodian. 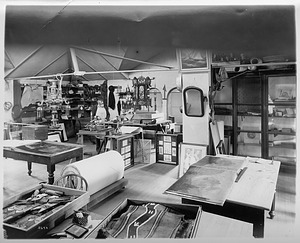 Smillie also served as the Institution's photographer from 1870 until his death in 1917, documenting important events and scientific expeditions, photographing the museum's installations and specimens, creating reproductions for use as illustrations, and performing chemical experiments for Smithsonian scientific researchers. The Canal Zone Biological Area in Panama is put under Smithsonian Institution administration by President Harry S. Truman. 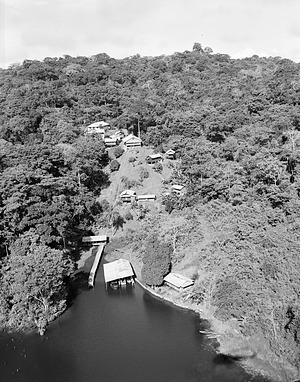 The tropical research station, located on Barro Colorado Island and reserved for scientific purposes in 1923, had been set aside by United States Congress in 1940 as a preserve administered by a board on which the Smithsonian had participated. It is later renamed Smithsonian Tropical Research Institute. Richard Rush sails from London on July 17, 1838, on the packet ship, the Mediator, bound for New York City. He is transporting the proceeds of James Smithson's estate, which he has converted into gold sovereigns, and Smithson's personal effects, including his library, mineral collection, and scientific notes. Paintings, engravings, and other art works, deposited in the Corcoran Gallery of Art after the 1865 fire in the Smithsonian Castle, are returned to the Smithsonian Institution at the request of the Board of Regents. In a letter to the New York Daily Times, responding to an editorial praising the Smithsonian and Secretary Joseph Henry, Samuel F.B. 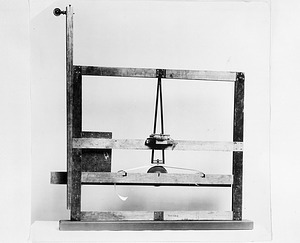 Morse writes that "the magnetic telegraph owes little, if anything, to Prof. Henry's labors or discoveries, notwithstanding the labored and reiterated efforts to make that impression." Morse's attack comes in the wake of controversy over Henry's dismissal of Assistant Secretary Charles Coffin Jewett and contradicts earlier statements by Morse. 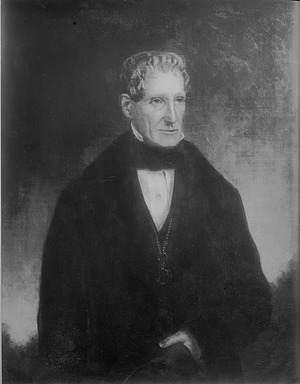 Henry had provided legal testimony for a telegraph entrepreneur contesting Morse's patents. President Jimmy Carter signs a bill (P.L. 96-36) authorizing the appropriation of $500,000 for planning of the South Quadrangle Project. 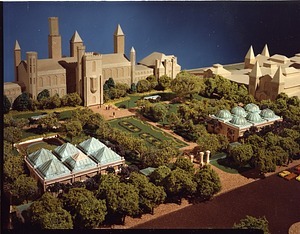 The Quadrangle will be located behind the Smithsonian Institution Building or "Castle," and will be a center for African, Near Eastern and Asian cultures. 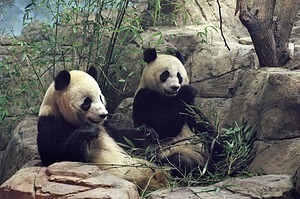 The National Zoological Park's Giant Panda Ling-Ling gives birth to the first Giant Panda born in the United States. While the male cub died approximately three hours after its birth, this significant birth of an endangered mammal species renews the Zoo's hope of future successful births. Mei Xiang, the National Zoo's female Giant Panda, is born at the China Conservation and Research Center for the Giant Panda, Wolong, Sichuan Province. 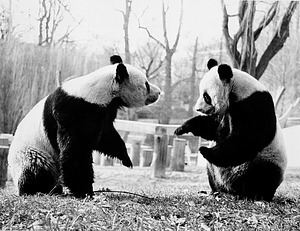 She will travel to the United States to take up residence at the National Zoo in 2000. George Perkins Marsh dies. 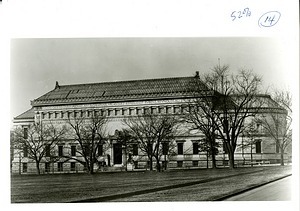 Marsh was a strong supporter of the Smithsonian in its early years, arguing for a great national library as part of the Institution. 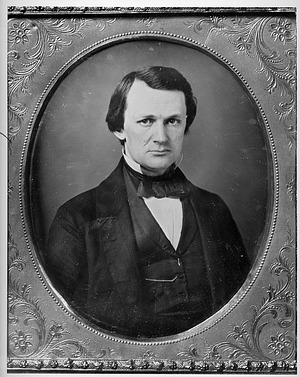 He served on the Board of Regents from 1847 to 1849, as a Congressman from Vermont. 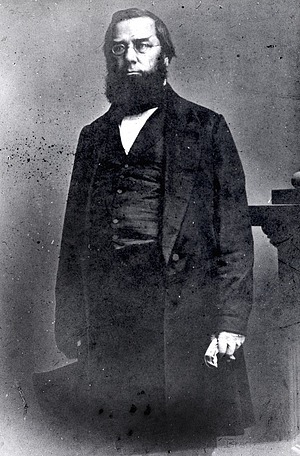 He encouraged Secretary Joseph Henry to hire his protégé, Spencer Fullerton Baird, as the first curator of the National Museum. His art collection was purchased for the National Museum in 1849, the first art collection acquired by the Smithsonian. 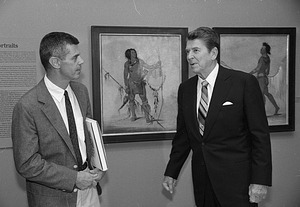 President Reagan visits the Smithsonian American Art Museum to view the exhibition, George Catlin: The Artist and the American Indian. He is greeted by John Jameson, Assistant Secretary for Administration, Harry Lowe, acting director, and curator William Truettner. Eight United States-born golden lion tamarins are released into the wilds of Brazil's Poco das Antas Biological Preserve by the National Zoological Park. 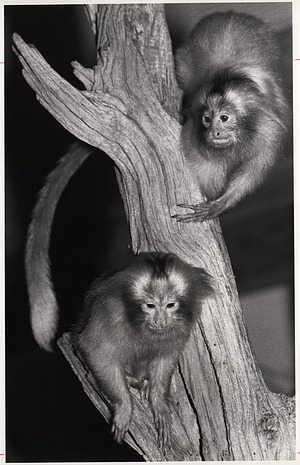 Fifteen animals had been sent to Brazil in November 1983 as part of a reintroduction program, and nine of them had been introduced to a half-way cage located in the wilds on May 2, 1984. 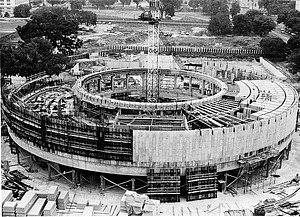 The United States Congress appropriates $2,000,000 in construction funds and contract authority in the amount of $14,197,000 to construct the Hirshhorn Museum and Sculpture Garden. 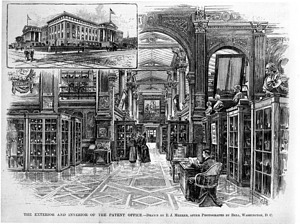 The charter of the National Institute (1840-1862) expires, and in accordance with its act of incorporation, the remainder of its library and museum is delivered by the Secretary of the Interior to the Smithsonian Institution. 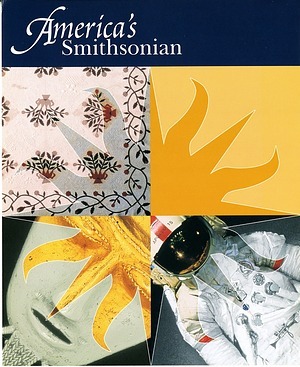 Before the organization of the Smithsonian, the National Institute held the personal effects of James Smithson with a view to its gaining control of the Smithson bequest. The transfer also includes the collections of John Varden's museum, including art works. 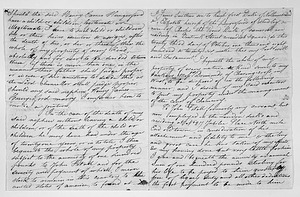 Aaron Vail, Charge d'Affaires of the United States in London, writes to Secretary of State John Forsyth, to inform him that an Englishman named James Smithson has left a bequest to the people of the United States to found in Washington an establishment for the increase and diffusion of knowledge. Vail was notified by Smithson's solicitors, Messrs. Clarke, Fynmore & Fladgate. Arthur Wesley Dow (1857-1922) exhibit opens at the National Collection of Fine Arts, now the Smithsonian American Art Museum. Dow was an influential art educator around the turn of the century. The National Postal Museum opens to the public July 30, 1993. The new museum houses and displays the national philatelic and postal history collection which is the largest and most comprehensive of its kind in the world. 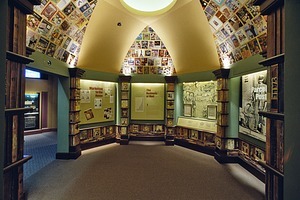 The museum has five exhibit galleries, a Discovery Center, and a Library Research Center. 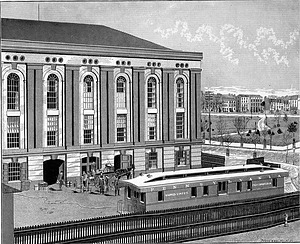 The US Congress grants to the Smithsonian the use of the Armory Building on the southern side of the National Mall between 6th and 7th Streets. The four-story building is assigned in 1877 to the United States National Museum which fills it from "top to bottom" with collections, including those from the Centennial Exhibition in Philadelphia in 1876. The US Fish Commission, administered by the Smithsonian, is also located there. The building was originally erected in 1856 for the use of local volunteers and militia.